Thousands more people have signed a petition against plans to demolish Wakefield Market and turn it into a cinema. 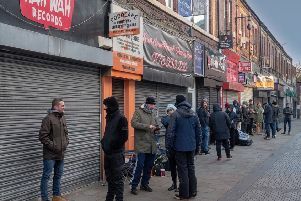 More than 6,000 people have now put their name to a campaign by traders to keep the city’s market hall open after Wakefield Council announced plans to close and redevelop the site. Sovereign Land, one of the owners of the nearby Trinity Walk shopping centre, wants to knock down the market hall and build a multi-screen cinema with restaurant and cafe units. The outdoor market could be moved to the cathedral precinct. Indoor traders are being invited to move to units elsewhere in the city centre. Council bosses launched an online questionnaire this week as it consults on the plans. The consultation will run from March 1-April 30.